There are several factors to consider when searching for the best precious metals IRA. It’s important to keep in mind that every investor has unique retirement goals. Finding the “best” IRA is a matter of determining which course of action is best for you – and which company to trust when opening your account. To ensure that you can maximize the potential of your IRA, you really need to determine two crucial answers: where to open the account and what to put in it. As you’ll discover below, these two components should ideally go hand-in-hand. A top-rated precious metals company will help you identify what types of precious metals to place in your account, as well as how much and how often. 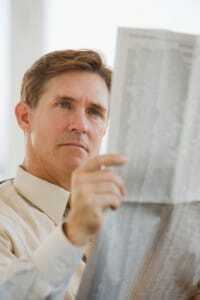 Here are a few things to consider as you search for the best precious metals IRA. Does the company (or custodian) specialize in a precious metals IRA? Be wary of partnering with any firm that only offers gold IRAs as a secondary service. Look for companies that specialize in the sale of precious metals and have the expertise to assist you through every step of the process of setting up and funding your account. Extensive experience in the precious metals market is usually a sign of an established and respected precious metals company. Make sure you are dealing with a firm that has years of experience helping other investors like you achieve their retirement-planning goals. A variety of precious metals are approved for use in IRAs, including gold, silver, platinum and palladium. Check with the company to ensure they offer each of these options. Which assets are right for you? Choosing your assets should be based on strategy, not guesswork. The best precious metals IRA is one that has been carefully planned and funded according to your individual needs and objectives. If you’re not sure what to place in your account, then it’s even more crucial that you seek the guidance of professionals. Will you receive personalized investment advice? This is where the expertise of an established precious metals firm becomes invaluable. If you want to make sure your IRA is properly aligned with your goals, then you need to choose a company that can point you in the right direction. Look for firms that are willing to listen to your needs, answer all your questions and provide personalized advice so you can invest with confidence. 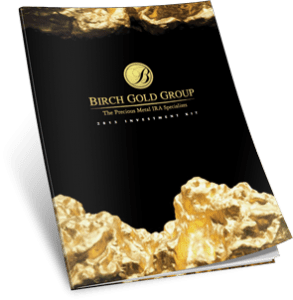 Birch Gold Group is a leading precious metals provider that specializes in gold IRAs, silver IRAs and other precious metals. We are committed to helping all investors and retirees achieve their specific retirement-planning objectives, and we proudly maintain an A+ rating with the Better Business Bureau. To find out more about opening a precious metals IRA, request more information by filling out the form on this page, or call (800)355-2116 to speak with one of our specialists.